The band name sounds like one of those Dickensian novels set in a sleepy English town. HYDERABAD: The band name sounds like one of those Dickensian novels set in a sleepy English town. Max ZT, the band member from Chicago hears this and laughs saying, “The three of us are from different countries. But music is fluid and when we all met in New York City we decided to join hands together and let the notes flow. Doesn’t the name seem suitable then?” Of course, it does especially when we hear him playing dulcimer, the forefather of santoor. 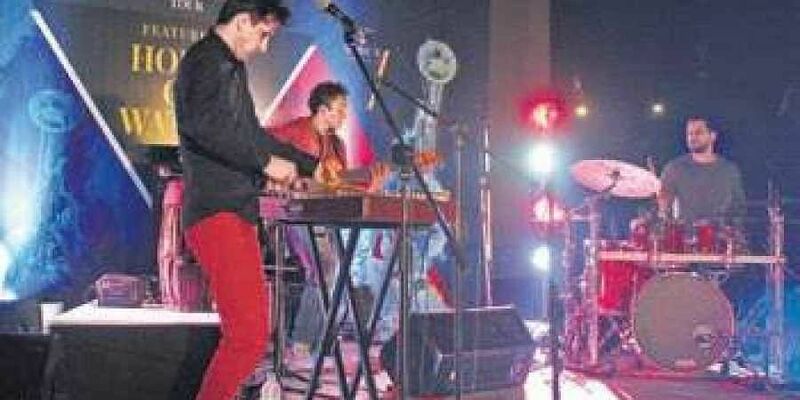 The tunes from the ‘Jimi Hendrix of Hammered Dulcimer’ emanated at Taj Krishna lawns mingling smoothly with electric bass of Moto Fukushima of Japan and drums of Argentinean musician Ignacio Rivas Bixio to culminate into a symphony of base notes. The musical evening, organised by US Consulate Hyderabad, saw several school children attend the event. The band is on a multi-city trip as part of The Jazz India Circuit Tour. The concert never saw a soporific moment and instead added memorable numbers like ‘Raindrops’ inspired by Indian classical music. The composition caught the ear with the long resounding echo the dulcimer created. It blended with the sounds at the edge of the crash cymbal producing the right whisper as drummer Ignacio gradually added the beats of snare drum. Other compositions had African influences especially of Senegal given Max had spent five years over there for the music. But it’s learning lessons from Pandit Shivkumar Sharma in Mumbai that has influenced him the most. The 34-year-old musician got the chance in 1993 to be with the santoor maestro as part of his study grants. So what is his takeaway from the Indian classical music? He says, “Choose the moment. Own it. Believe in it. This is the philosophy of life not just music. You follow this and everything falls into place.” While Max is from Bard College, New York Moto and Ignacio are from Berklee College of Music, Boston.